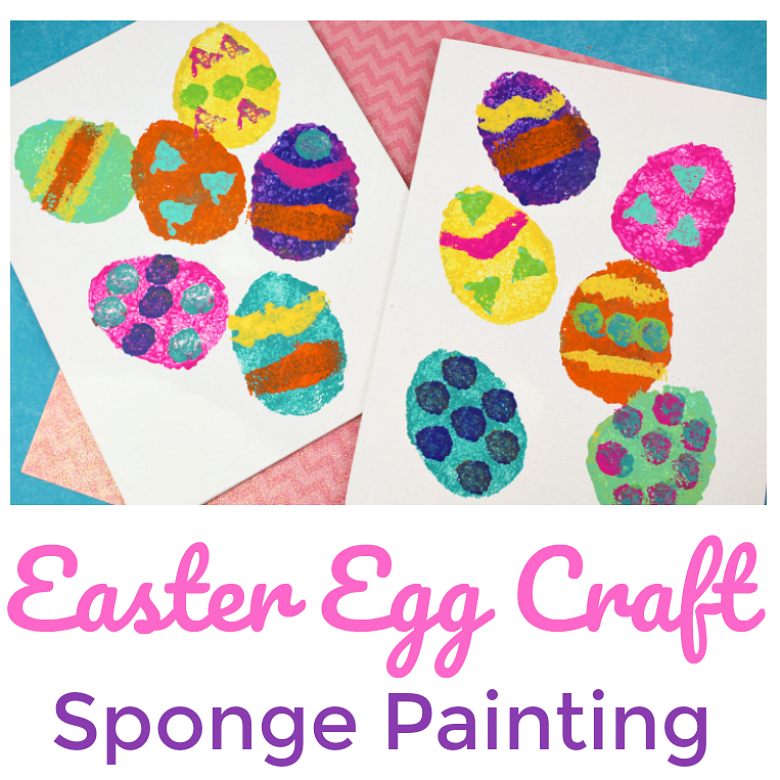 Toddlers and preschooler will love sponge painting to create this easy Easter craft. Kids can be as creative as they like as they experiment with different patterns and colours to design their own Easter eggs. You could use the completed Easter egg paintings to make Easter cards or do the painting onto a canvas to create some artwork to keep. Easter will be here before we know it with it being so early this year. 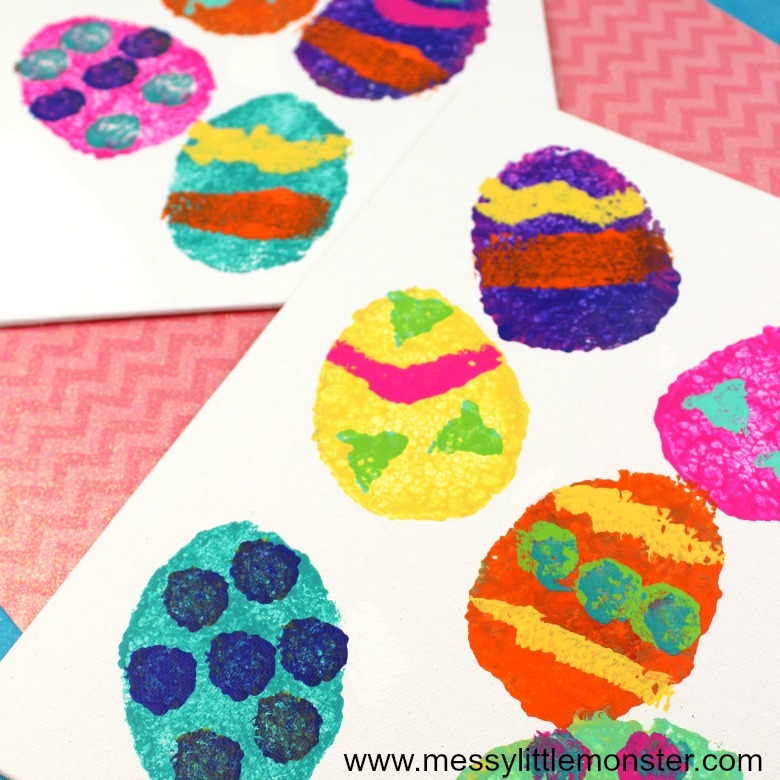 Easter eggs, chicks and bunnies all make great Easter crafts. We have gathered together a collection of bunny crafts and chick crafts for you to browse through. We made some great Easter eggs using q-tips which are perfect for younger toddlers and our marbled bunny art work well for children of all ages. Younger children would also love our Easter play dough mats. 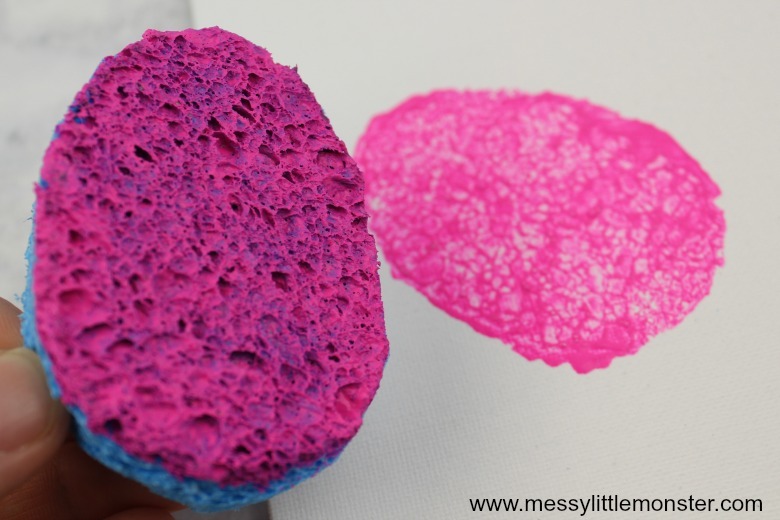 To prepare for this activity you will need to trace the shape of an egg onto a sponge using a sharpie marker. You can either draw free hand or draw around a template. 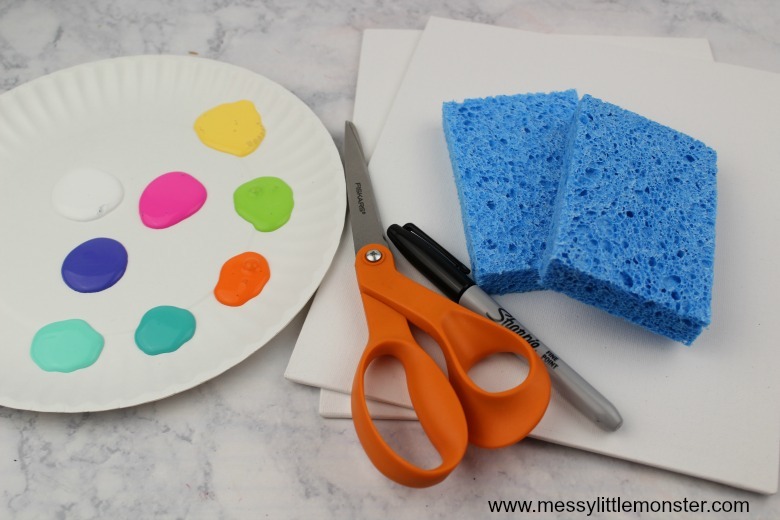 Make enough sponge egg shapes so that you have one egg to dip into each colour you are planning to use. 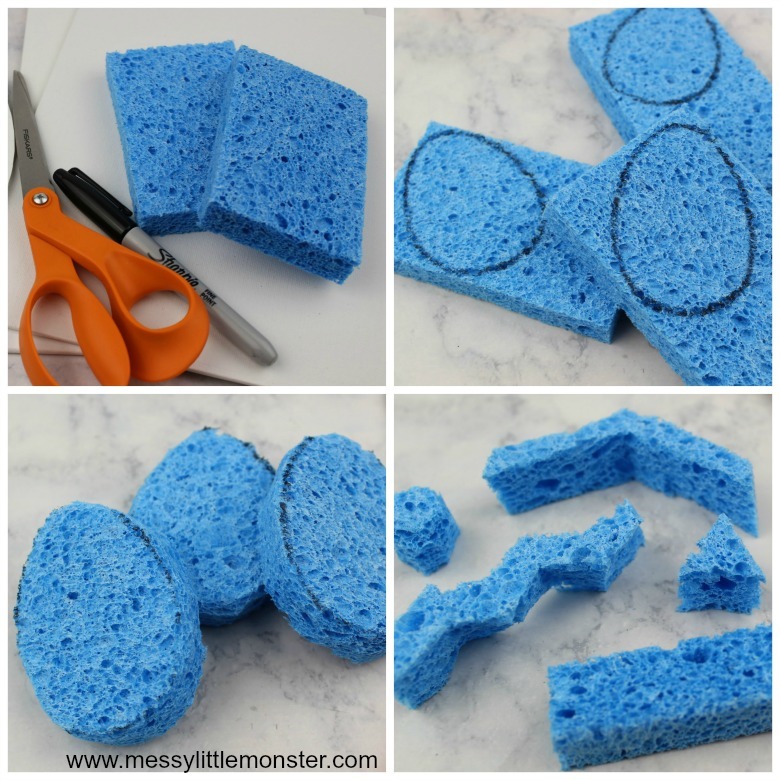 Cut out the egg shape from the sponges. Use the sponge scraps to cut out shapes like a circle, triangle, zig zag etc, these will be used to add patterns to the Easter eggs. 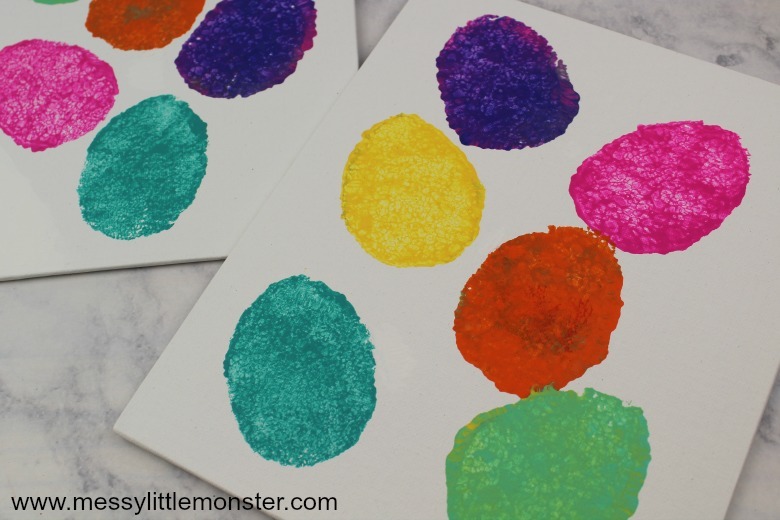 Dip the egg shaped sponges into paint and press them onto the card, paper or canvas. 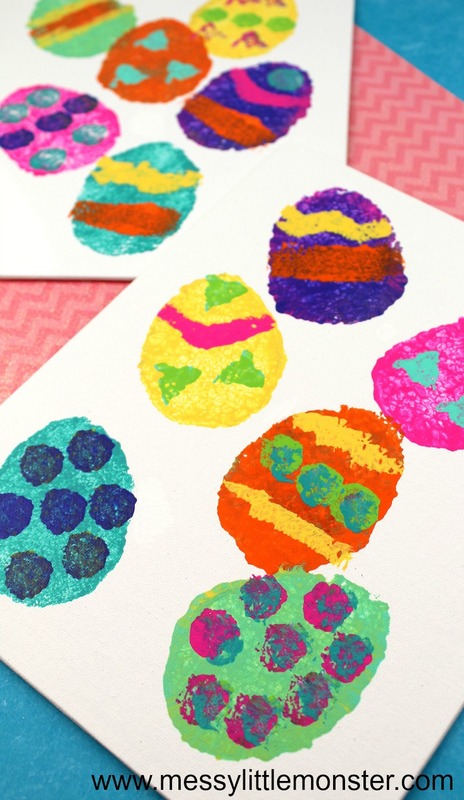 Allow the paint to dry completely and then use the circle, triangle, zig zags patterns etc to decorate each egg. Some children will carefully add patterns to each Easter egg thinking about the colours and shapes they are using, while others will have fun stamping all over the page. Whatever your chid chooses to do the important thing is that they are having fun! Using contrasting colours can look really effective. Once dry you could use the artwork as Easter cards. Cutting out the painted Easter eggs and adding them to an outline of a basket would look great as well. We have lots of other easy Easter activities. Take a look at our peeps puffy paint Easter egg, plastic bottle Easter basket and our chick cake in a jar.